Miles F. Buchman, B.S., M.S.E. 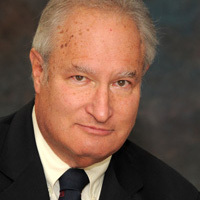 Experts Miles F. Buchman, B.S., M.S.E. Miles F. Buchman, B.S., M.S.E. joined Fleisher Forensics in 2002. Mr. Buchman brings extensive engineering experience in metallurgy, materials science, automotive engineering, facilities, construction and equipment design. Mr. Buchman has authored, published and presented technical papers, including those for the Air Pollution Control Association Annual Meeting and the SAE Congress and Exposition. He has contributed to engineering and trade journals including a technical paper on the phase transformations of aluminum alloys using electron microscopy. Mr. Buchman’s continuing education includes attendance at the SAE International Congress and Exposition and the SAE Fuels & Lubes Exposition. Mr. Buchman received a Bachelor of Science Degree in Metallurgy and Material Science, as well as a Master Degree in Engineering with a focus on Metallurgy and Material Science from the University of Pennsylvania. Prior to coming to work at Fleisher Forensics, Mr. Buchman held a number of regarded positions with other firms, including Senior Research Engineer with Johnson Matthey Inc. and Technical Director for Feul Tech, Inc.
As a Research Metallurgist, Mr. Buchman was responsible for the design, development, application and testing of high temperature corrosion resistant aerospace and automotive coatings. As a Plant Metallurgist, he was responsible for product and equipment development for manufacturing facilities in the tube and hand tool industries. He was regularly involved in heat treat processes and equipment, electrical substation and plant power upgrades, automated manufacturing equipment, material quality control, product testing, work place safety and machine guarding, site pollution control permit applications and engineering. Mr. Buchman also managed his own private firm, which included overhead door design and specification, codes, mechanical service, construction safety, installation and implementation of safety programs, damage evaluation, and retail merchandising.